Life changed for Chelsey in 2010 when she contracted a bacterial infection after tubing on the Comal River, which led to a bilateral below-knee amputation. Chelsey utilizes prosthetics and a wheelchair, making daily tasks more challenging. For Chelsey, a service dog meant help with these daily tasks, but it also meant more than that. It meant gaining the confidence to go back to school, graduate and become a working professional. 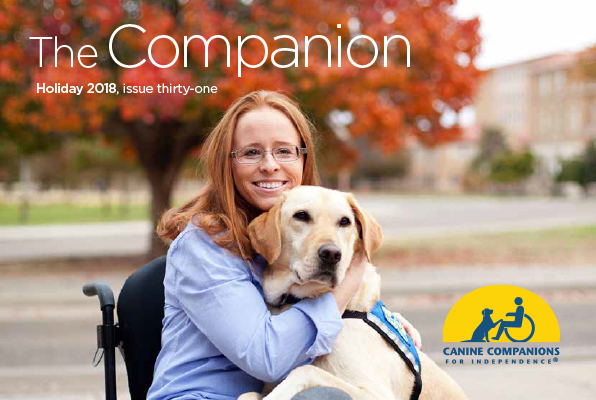 Read how receiving a Canine Companions® assistance dog has influenced Chelsey's life in the most recent edition of "The Companion" magazine. 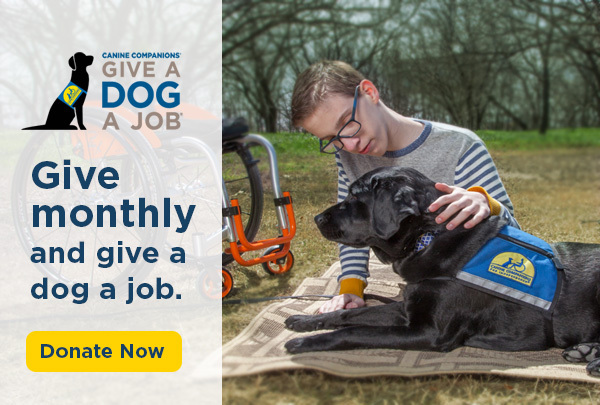 As we close out another year of life-changing placements and innovations within Canine Companions, I couldn’t be more proud of what we’ve accomplished in my years as board chair. Read more from John Miller. Canine Companions continues to collaborate with Dr. Evan MacLean, Dr. Emily Bray and the Arizona Canine Cognition Center at the University of Arizona and they are working on a new project. Learn more. Colorado State University student Emily never thought a simple thing like moving to a new apartment would change her life in the best way possible. Click here to see how Emily's life was changed.